" How much water do we need?... What kind of pump should we have?... How deep might we have to drill?... What about heating my home with geo-thermal energy?... Can I enjoy peace of mind, knowing that when I turn on the faucet I'll have clean, pure water for a fair and reasonable price? " Honesty.... Nothing replaces honesty, integrity and dedication. At Valley Artesian Well, we live by these words. We look forward to meeting you at your home, business or building site to discuss your water needs. We'll provide you with a free written estimate for anywork to be done. We'll help select the best site for your well and we'll give you the benefit of our drilling experience in your local area. Throughout the drilling operation, we'll provide honest advice so that you can enjoy a water well that will meet your needs without unnecessary costs. Upon completion of your well we can size, quote and install your water system so that you only need to turn on the faucet. Quality.... A job done correctly the first time using superior quality components is your best value over time. 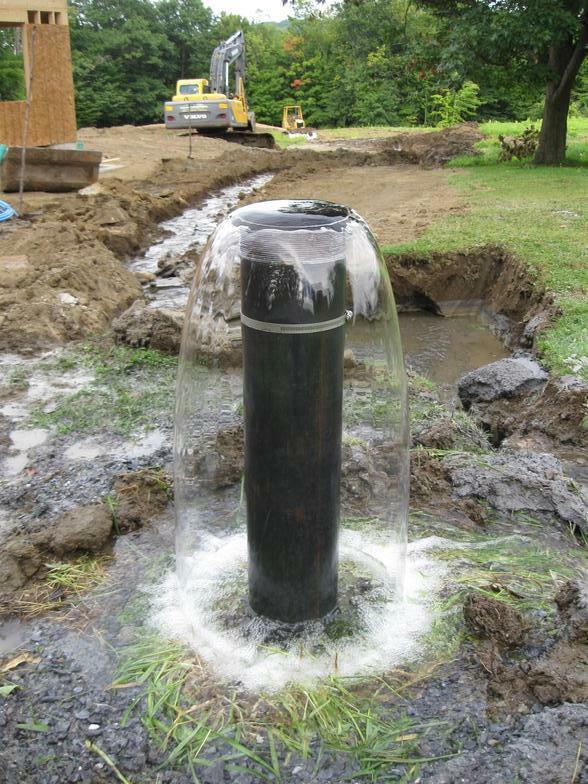 From Flame-Hardened contamination seals to Goulds and Franklin Electric Pumps to Flex-Lite Pressure tanks, Valley Artesian Well uses the best performing and most durable components for your water system so that you will be satisfied today and for years to come. All of our workmanship is guarenteed for one year, Pumps and Tanks guarenteed for five years and Constant Presure systems for three years. All of our underground pipe is warranted for twenty years. Service.... Whether Scheduling a site analysis, a new well system installation or needing help with an existing system, our experienced service team is just a phone call away, 365 days a year. Valley Artesian Well's water system technicians are fully licensed, factory trained, National Ground Water Association Certified and accesible. If you experience a water system failure call Valley Artesian Well, in nearly every case we can restore your water service within 24 hours. Those are the principles and foundations that have served Valley Artesian Well Company for over 40 years, and will serve you well today. Our office is located in Ascutney, VT on the map on the left. The map on the right is approximately the area we cover for all of our services like Well drilling, Pump systems and Filtration Systems.